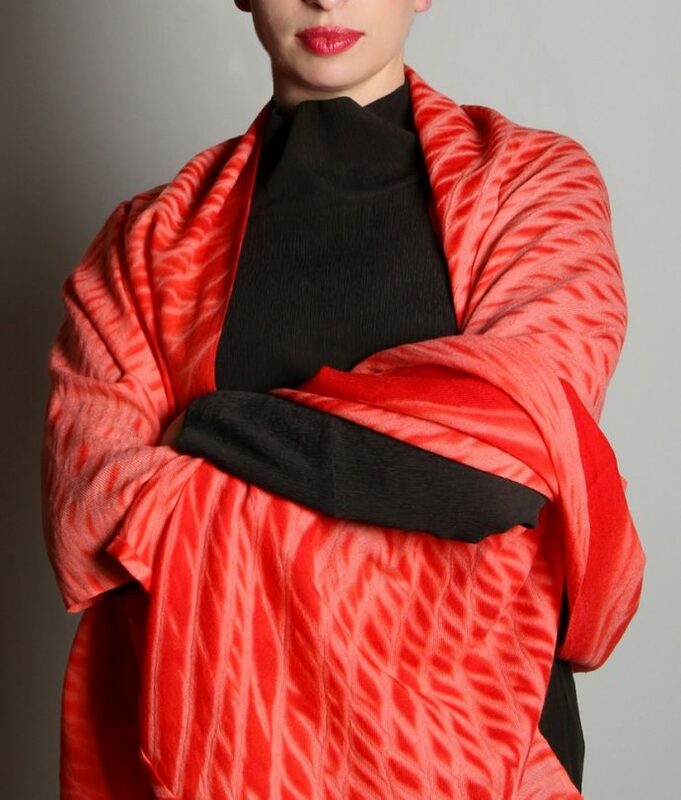 A lighter weight of our luxurious cashmere shawl, perfect for a Summer gala or cool evenings on the beach. Great for travel, it rolls up small enough to tuck into even the most tightly packed bag. 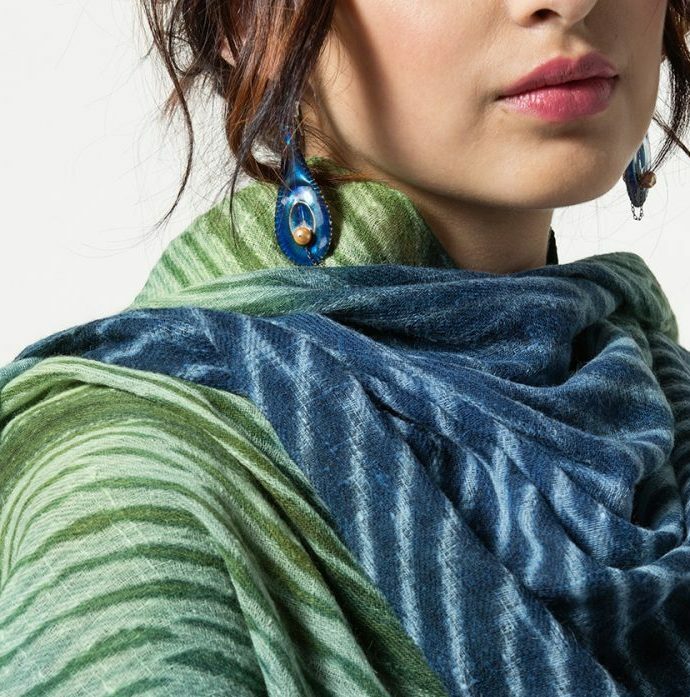 Featured: Shibori Semicrinkle in Spring, Cobalt and French blues. 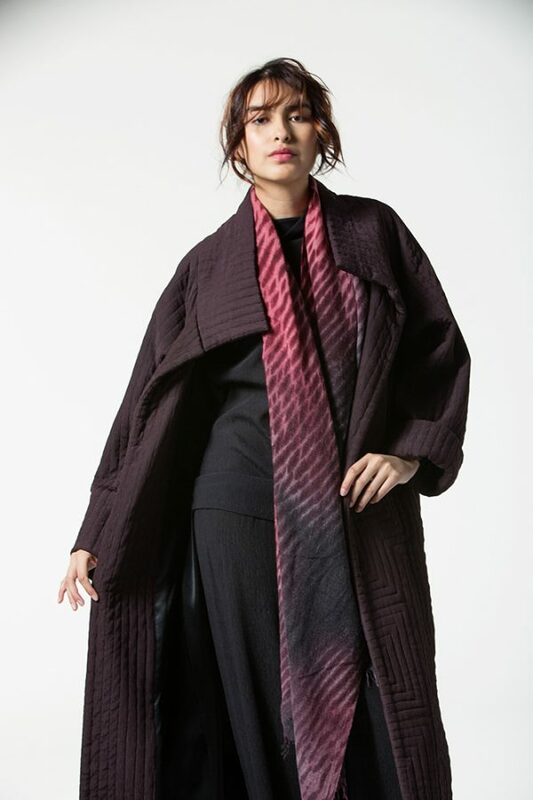 Also shown: Shibori Semicrinkle in Grenat and Black, with Cassis Wind Coat. Also available as a Set with matching vitreous enamel earrings by Nancy Sickbert-Wheeler. 100% Cashmere. To protect your investment, please see our Care Instructions.